Your privacy is important to us and we are committed to ensuring that your personal data is protected. Oonasdivers (.com) (Oonasdivers herein) is committed to your Personal Information (PI) staying personal. It is a high priority at Oonasdivers to keep this data secure and safe. Example of this data: Name, Address, Email, PNR record, Debit/Credit Card details etc including any information that can be related back to a specific individual. Oonasdivers collects information provided about you our customer at certain times during the registration and booking process. However, you are able to access most areas of the site without supplying any PI to us. In becoming a customer of Oonasdivers you are providing consent to us holding your PI. When a customer ceases to become a customer we delete all PI and will stop any email communications. When a client has booked a holiday this period is 7 years due to legal data retention polices. We collect your information to enable us to process your travel arrangements and assist us with improving our service. We only supply your PI to our travel partners to ensure they have the relevant information to arrange the constituent parts of your trip. We do not pass on your payment details onto partners we process all payments in house and then make payments to the relevant provider. This helps keep your details private it also ensures that you know whom is charging you. The only information supplied to our partners will be relevant to your booking and nothing more. Thus, not all partners get all your information just what they need. This leads on from our philosophy of only collecting the information we need. Partners are organisations that Oonasdivers uses to arrange your trip these may be tour operators, car hire organisations and hotel and flight consolidators. This list is not exhaustive it is meant to be an indication. How do we share your PI? As a general rule we do not share your information. We are not owned by a group or consortium. Thus, we are not required to share, consolidate or pass over information to any organisation. We may use information collected within the website or our own marketing or customer improvement programs. Information will be shared with our partners as explained above. How can you access or control your information? Once you have set up an account it will be possible to view information held about you from within your My Booking area. This will be an example of the data we hold about you. Our aim is never to have duplicated information, thus, the PI shown in this area is the PI used to arrange your trips. This also means it is essential that it is kept up to date and current. This is your responsibility as a user of this website. The Oonasdivers.com website has certain self-management capabilities. This means we are able to direct information to you that you are interested in without you having to lift a finger. 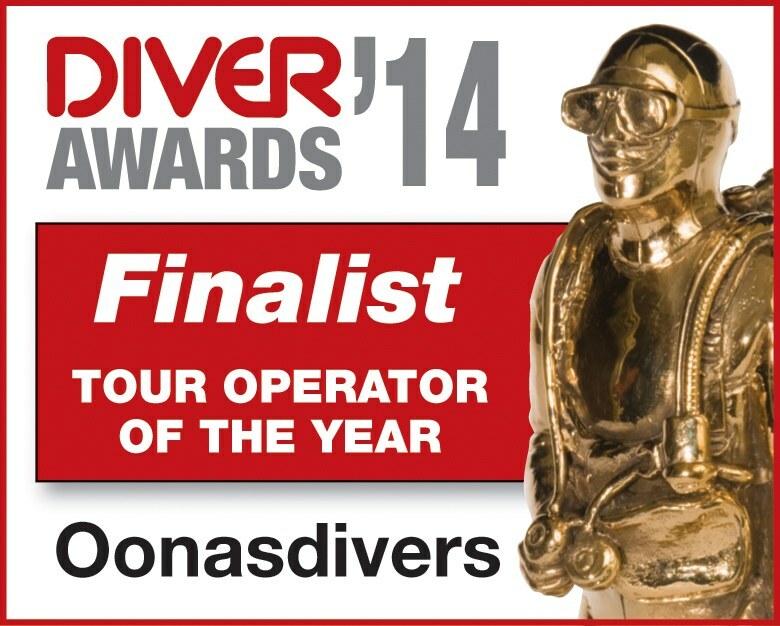 Oonasdivers will communicate with you our customer though various mediums (web, email, telephone and in person). We will send you communications in a number of instances. This may be through special offers, questionnaires or other current offers currently running. We encourage the setup of your preferences in the MY Profile area of the website. Why use the preferences. Preferences are what they are termed. They are the things you like and our site remembers that. When searching you have the option to use your personal preferences. My Profile will insert your preferences into your search thus assisting in the provision of a search result that is relevant to your needs. You also have the option not to use this facility if you thinking outside the box. This website makes use of 'Cookies' which is a file of information which we store on your computer to identify you to the site. Cookies are used to improve your future visits to this website because it enables us to potentially provide you with information most relevant to you. We understand that you may object to this and therefore do not insist that you enable your cookies and indeed the site works perfectly well without them. Please refer to your individual browser's help file for instructions regarding how to disable cookies.” Cookies are used by Oonasdivers to maintain holiday information for visitors throughout the site while browsing, Oonasdivers does not store unless remember me is selected at logon, any cookies on visitors machines that would allow us to track, trace or monitor any users access other than via a logon to My Profile. While logged on to Oonasdivers your user account details will be stored in a cookie to allow Oonasdivers to offer member benefits and other Customer Management facilities to you our customer. Cookies from marketing companies such as Google, Facebook and other ad related companies may be used from time to time. We do not share this data with other parties. You are able to block or delete cookies from your computer using various tools of you so wish. Throughout this website affiliates information may be supplied these links may take you to another website not operated by Oonasdivers. When this happens we are no longer in control of the website you are viewing and therefore cannot take any responsibility for its content, security and PI collection/usage. As a rule we generally do not have other websites contained within our website (through white labelling or otherwise). If this does happen then it will be denoted with the relevant affiliate’s logo and will say “In association with”. To obtain your data held by us, please send us an email or make a request via the contact us page.